Natural language privacy policies have become the de facto standard to address expectations of “notice and choice” on the Web. However, users generally do not read these policies and those who do struggle to understand them. Initiatives, such as P3P and Do Not Track aimed to address this problem by developing machine-readable formats to convey a website's data practices. However, many website operators are reluctant to embrace such approaches. The OPP-115 corpus consists of 115 privacy policies with 23K fine-grained data practice annotations. Download the corpus. Our project newsletter highlights our progress and activities over the past year. Read the newsletter. The AAAI Fall Symposium on Privacy and Language Technologies will be held Nov. 17-19, 2016, in Arlington, VA. Learn more. 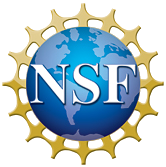 This project is funded by the National Science Foundation under its Secure and Trustworthy Computing initiative (CNS-1330596 and CNS-1330214). This project is also supported in part by DARPA and the Air Force Research Laboratory under agreement number FA8750-15-2-0277. The US Government is authorized to reproduce and distribute reprints for Governmental purposes not withstanding any copyright notation thereon. 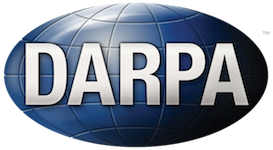 The views and conclusions contained herein are those of the authors and should not be interpreted as necessarily representing the official policies or endorsements, either expressed or implied, of DARPA, the Air Force Research Laboratory, the NSF or the US Government.